It’s the week for all things pink and red and chocolate! 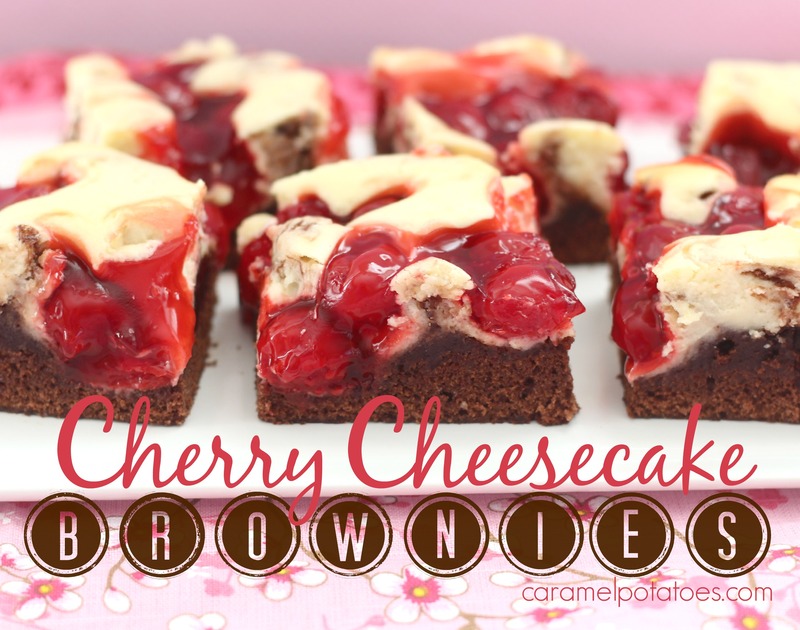 These Cherry Cheesecake Brownies are all that and then some! What a great way to capture your valentine’s heart . 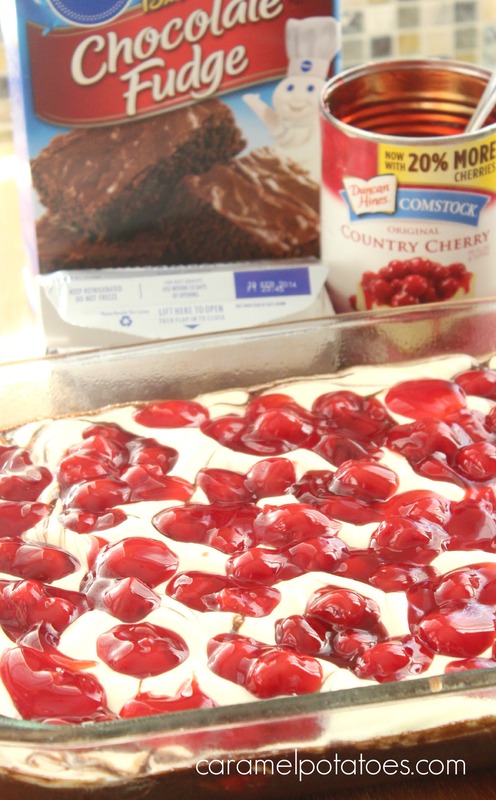 . .
You will love how easy these beautiful brownies are to make using a store-bought brownie mix and canned cherry pie filling. Sweet!- Who said delicious had to be difficult? Aren’t those gorgeous red cherries perfect for Valentine’s Day, Christmas, President’s Day, 4th of July . . . I’m sure you can come up with a great reason to make these! 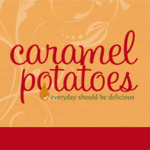 If you missed it, be sure to check out our Cupid Approved Valentine Day Inspiration! Preheat oven to 350. Grease or spray a 9 x 13 baking pan. In a large bowl, combine brownie mix with oil, water, and 3 slightly beaten eggs. Stir about 50 strokes or until blended. Pour batter into prepared pan and set aside. Beat cream cheese and butter in mixing bowl until fluffy. Add sugar until combined. Beat in additional 2 eggs, flour and vanilla. 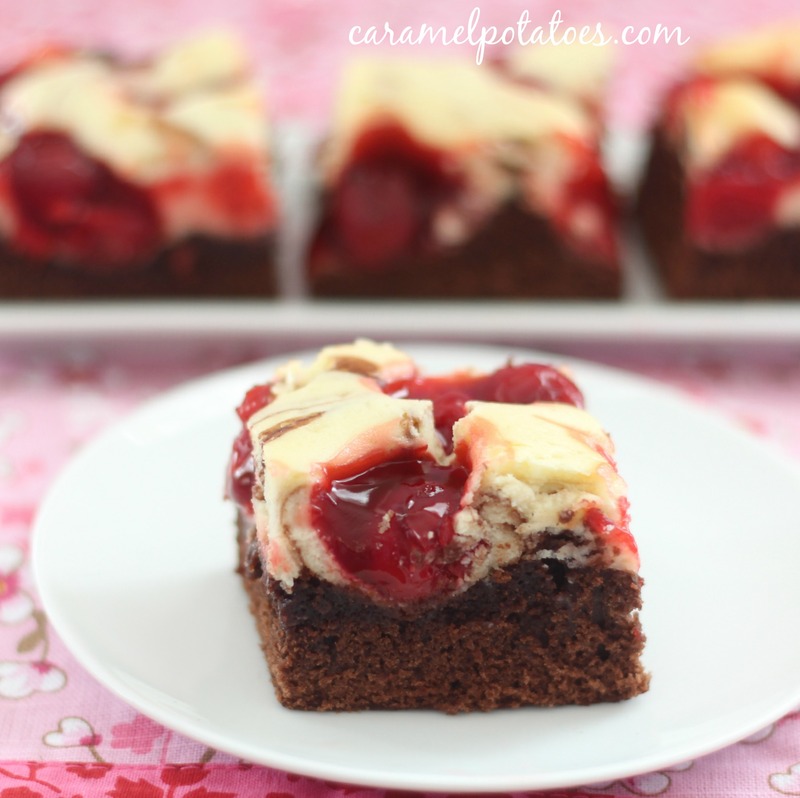 Drop cheesecake batter by spoonful over the brownie batter. Use a knife to gently cut through batters and marble them. Spoon cherry pie filling over the top. Bake 45-55 minutes or until toothpick comes out clean. Cool completely before serving. W0W! These look scrumptious! Love your site! Have a question though….how much butter? It is not listed at all in the ingredients. Thanks!